Place chocolate biscuits in a blender and lightly crumb. Add butter and pulse until combined. Spoon into a lined deep tray and press flat. Refrigerate until firm. 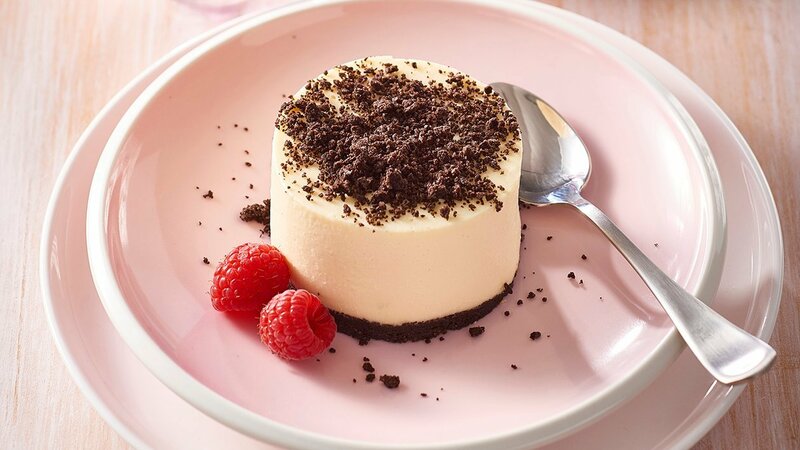 Bring cream to the boil and whisk in CARTE D'OR Pannacotta Dessert Mix. Beat the cream cheese into the mixture until smooth then pour over the biscuit base and refrigerate until set. Once set, lightly crumble the Oreo biscuits and sprinkle on top. Cut into individual portions to serve. Serve with berry coulis or fresh fruit.